Below is the list of hotels offering rooms at the lower conference rates until June 13th, 2014. 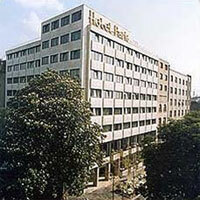 You can easily book your preferred hotel by filling in reservation form for chosen hotel. Payment has to be arranged directly with the hotel. Contemporary and spacious rooms and suites, with King, Queen or Twin sized beds are equipped for business and leisure stays alike. Free Wi-Fi Internet and devoted work desk in all rooms. Each guest room is elegantly decorated with fine fabrics, and with luxury features such as large-screen TV, air conditioning, ironing, hairdryer, safety deposit box and mini bar. Bathrooms are equipped with bathtub or walk-in shower. Suites bathrooms have bathtubs and walk in showers. The three stunning Suites located on the highest floor of the hotel combine breathtaking view over Belgrade with touches of modernity to ensure there is a suite for every personality. 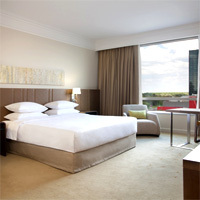 BOOKING: To book accommodation in Crowne Plaza Hotel please click HERE. Facilities: 302 luxury rooms and suites. Enjoy panoramic views of the city and park from a spacious 38-sq.-metre standard room. Subtle modern decor features a work desk with high-speed Internet, marble bath with separate tub and walk-in shower and king bed with soft imported Turkish cotton linens. Luxurious amenities include plush robes and turndown service.Exclusive Regency Club amenities include breakfast, cocktails, butler and valet, in addition to plush robes and turndown. 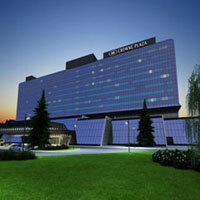 BOOKING: To book accommodation in Hyatt Regency Belgrade please click HERE. Facilities: Air Conditioning, Individual Room A/C control, LCD Television, Cable Television, Free international calls, Mini Bar, Personal Safe, Electronic Door Lock, Shower Cabin with FM stereo, Hair Dryer, Bathrobe, Slippers, Fitness centre. 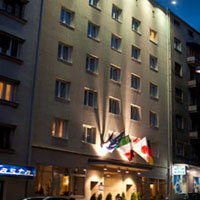 BOOKING: To book accommodation in Queen’s Astoria Design Hotel please click HERE. Facilities: Air Conditioning, Individual Room A/C control, LCD Television, Cable Television, Free international calls to landlines, Wi-Fi, Mini Bar, Personal Safe, Electronic Door Lock, Shower Cabin with FM stereo, Hair Dryer, Bathrobe, Slippers. 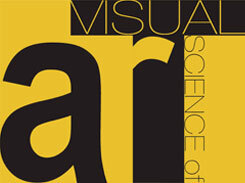 BOOKING: To book accommodation in Design Hotel Mr. President please click HERE. 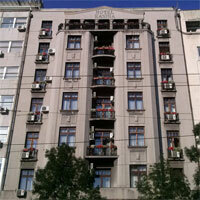 Facilities: Central Air-conditioning, direct phone lines, TV with cable network in every room. Wireless internet connections, restaurant, parking, fitness centre. 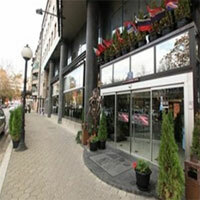 BOOKING: To book accommodation in Hotel Park Beograd please click HERE. BOOKING: To book accommodation in Hotel Kasina please visit www.hotelkasina.rs.